Robert Burns (1759–1796) is remembered as one of Scotland’s greatest poets. 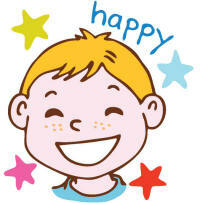 His most famous work ‘Auld Lang Syne’ is now traditionally sung at midnight around the world when the New Year begins. Burns was just 37 years old when he died, but his poems have lasted for generations. Every year, his life’s work is remembered and celebrated on Burns Nights (25th January). 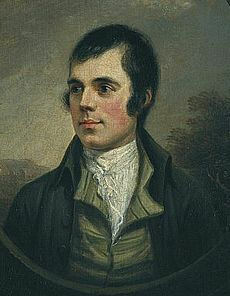 Find out more about this talented man below, or visit our special page on Burns Night for Kids. Robert was nicknamed the ‘Ploughman Poet’ because of his farming background. Although he became very successful, Robert never forgot his roots. His poems often reflected his love of farming and the difficulties faced by working-class people. Robert adored being in love and is said to have fathered up to 18 children, with four different women. Sadly, many of his children died in infancy. His youngest child, Maxwell, was born on the day of his funeral. Robert Burns was born on 25 January 1759 in Ayrshire, Scotland. His parents, William and Agnes, were poor tenant farmers and Robert was the eldest of seven children. Although the Burns children had to work long hours helping on the family farm, their father recognised the importance of education and taught them at home. Agnes also taught her children many Scottish poems and songs. Robert showed talent at an early age. He loved to write poems about the people and places around him. He started writing love poems as a teenager, and love became a regular theme of his work. Then in 1786, at the age of 27, Robert’s life changed dramatically when he published his first collection of poetry,‘Poems, Chiefly in the Scottish Dialect’. The poems were a great success and made Robert very famous. Robert moved to Edinburgh and began to live the life of a wealthy man. He was handsome and managed to combine his wit and wisdom with a down-to-earth attitude, which made him very popular in social circles. By this time, Robert was already in a relationship with Jean Armour, who later became his wife. Robert and Jean married in 1788, although they already had four children together (two sets of twins). They went on to have nine children in total, although only three survived into adulthood. They moved to Dumfries to raise their family and it was here that Robert worked as an excise man (collecting taxes on imports) to earn money alongside his writing. Although Robert is believed to have fathered children with three other women, Jean was the love of his life. Fourteen of his poems were written about her. Robert wrote the song ‘Auld Lang Syne’ in the year of his wedding, adding new lyrics to a traditional Scottish tune. The name means ‘Old Long Ago’ and the song encourages people to go forward into the new year with a sense of belonging and hope for the future. Another of Robert’s best-known songs, ‘A Red, Red Rose’, was written in 1794. 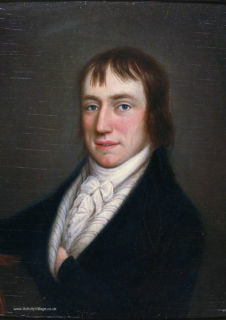 Robert died in 1796 at his home in Dumfries at the age of 37. He had an illness that could have been easily treated today, and it was even sadder that his youngest child was born on the day of his funeral. Robert became even more famous after his death. When friends got together on Robert’s birthday to remember his life, the tradition began to spread and has now reached all corners of the globe. 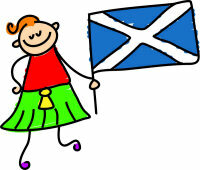 Burns Night is held on 25th January as a celebration of Robert’s life and of Scottish culture in general. A traditional meal is served, including haggis and the drinking of whisky. Robert wrote in English and Scottish dialects, but his work has been translated into hundreds of languages. His unique talent of expressing powerful feelings in just a few lines, and his ability to communicate with people of all backgrounds, has left a lasting legacy of poems and songs to be enjoyed for generations. Many of us sing Auld Lang Syne by Robert Burns as part of our New Year's Eve celebrations, but there's not many of us who can recite it all - so here's the full version ready to print! Robert Burns, writer, poet and lyricist, once said "Dare to be honest and fear no labour". Wise words from this famous Scot! Use this booklet featuring Robert Burns to record everything you've learned about the Scottish poet, or perhaps to write a poem of your own? Our origami booklet folding instructions can be found here. Print and colour in this portrait colouring picture of Robert Burns, the most famous of Scottish poets. Print and colour this simple colouring page of the beloved Scottish poet Robert Burns, designed for younger children. Comprehension worksheets test the ability of older children to understand a reading passage and answer questions based on the text. This comprehension worksheet is all about the famous Scottish poet Robert Burns. Learn about the life and work of famous Scottish poet Robert Burns with the help of our simple factsheet. This portrait colouring page of Robert Burns has the added advantage of a smart gilt frame to show it off! When you've coloured it in, cut out carefully and put on display. Imagine you are a talk show host and you were able to interview Robert Burns. What would you ask him? Perhaps you could ask about the inspiration behind some of his famous poetry? Our newspaper writing prompts are a fun way to record the information you've learned about a famous person or event, and also great for inspiring some creative writing. This newspaper writing prompt features the famous Scottish poet, Robert Burns. Print out this portrait colouring page of Robert Burns for Burns Night or anytime you are studying the Scottish poet. We also have a framed version, here. Here's a fun illustrated poster of Robert Burns for younger children. 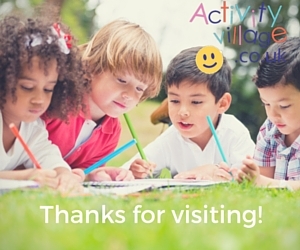 Here's one of our most interesting quote worksheets! Can the children write about what this quote means by Robert Burns and rewrite it in their own words too? They may have to do a little research on Scottish dialect! Use our Robert Burns story paper to write a creative story, perhaps based on one of his poems, or you could do some copy work and try copying out one of his poems. We have two versions available, lined and with handwriting lines. Can the children use our Robert Burns timeline to fill in the important events in the life of the Scottish poet? For example, when was he born, and when did he write Auld Lang Syne? There are ten words all about Robert Burns hidden in our word search grid - a fun Burns night activity for the kids perhaps? Find out some simple facts about Robert Burns and think about what you would talk about if you met him, prompted by our worksheet. Available in colour or black and white. Write about Robert Burns with this printable writing page, available in colour or black and white.